We offer many distinctive lines of wool, sisal, jute, plush, saxony, frieze, and berber carpet. Visit the Highlands Decorating Center showroom in Highlands NC and hand pick your carpeting and rugs with the help of our expert specialists. 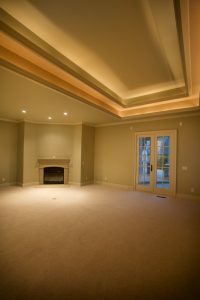 Service is our most important product and are a top supplier of the best carpeting and rug products in Western North Carolina and North Georgia. Find out about some of the top carpet and rug brands that we offer below. Carpeting and rugs can really make your space pop and make a statement. Find products for your vision. Highlands Decorating Center is proud to carry Karastan carpet. Karastan carpet manufactures one of the finest carpets in the industry. Starting with the Karastan wool carpet line. Wool is a natural, renewable, and recyclable carpet that is the original green technology that helps maintain the environment for future generations. Karastan wool carpet available here at Highlands Decorating Center is a non-allergenic, strong and durable, crush resistant, inherently fire safe carpet. Wool also provides natural humidity control for your Highlands, NC home. All Karastan carpets use Karastan’s exclusive LocbacXP or woven back technology for superior performance over the life of your carpet. Karastan Karastep is their premium carpet pad offering that extends the full warranty on your Karastan to seven years and offers many other features such as lifetime warranty for the pad and anti-microbrial properties. Karastan SmartStrand featuring DuPont Sorona carpet fiber made from corn-based polymers makes it easier and more fashionable to live green with your Karastan carpet. Karastan and Highlands Decorating Center also offer a complete line of Saxony, Plush, Frieze, and synthetic berbers. Don’t forget the custom rugs by Karastan, any style, any size with custom borders. If you can’t find your color Karsastan has a custom color program available for many of their plush and berber lines. Please stop by Highlands Decorating Center in Highlands, NC to see the complete Karastan line. We also serve the Cashiers NC, Franklin NC, and Jackson County areas. Your home should be a reflection of your style and an extension of your personality. Virginia Vintage’s wide selection of prefinished hardwood floors available at Highlands Decorating Center makes it easy to find the perfect wood flooring to suit you. While there are millions of hardwood styles in the world, let us help you find the only hardwood floors that matters. Yours. Virgina Vintage byAnderson. Before we powered them, programmed them and set them running in flawless perfection, we lifted our tools with our hands, sending our individuality into each wood floor plank. As we did, each hardwood board spoke a different story; each engineered wood plank a unique reflection of its maker. Now you can bring that simple elegance into your home once again with Virginia Vintage, the original hand-scraped engineered woodflooring from Anderson. Beautiful, stylish Masland carpets on display at Highlands Decorating Center represent over 140 years of carpet manufacturing expertise and a legacy of outstanding quality, design mastery and color leadership. Masland’s comprehensive collection of broadloom carpet includes traditional velvets to contemporary patterns, exciting textures and berbers, offered in extensive and sophisticated color palettes. Tufted and woven carpets, in the finest wools and branded nylon, Masland carpet has the creativity, craftsmanship, and color you have been searching for. Please come into Highlands Decorating Center to view our selection of Masland carpeting. Sink into the beauty and warmth of Shaw carpet, and bring color, texture, and value into your Highlands-Cashiers home. Come by Highlands Decorating Center to see the great Shaw lines we carry. Everday elegance at affordable pricing. Frieze, Saxony, Plush and Berbers are all represented in the Shaw carpet line. Please take the time to explore all the great carpeting on line by clicking on the image or text link; then stop by Highlands Decorating Center to view the sample or we’ll order a sample for you. Shaw, Where Great Floors Begin. Design Materials carpet and natural floorcovering. Sisals, Jute, wool , seagrass, and more. © 2019 Highlands Decorating Center. All Rights Reserved.